Family of Aharon Zindani is brought to Israel by Jewish Agency, together with his body. The body of Aharon Zindani, who was murdered three weeks ago in Yemen, was brought to Israel Wednesday and will be buried Thursday evening in the Rehovot Cemetery. 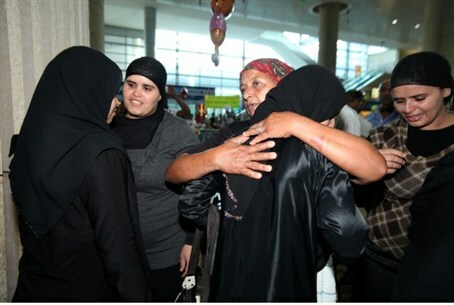 In a protracted and complicated operation, carried out by Jewish Agency personnel with the assistance of the Foreign Ministry, Zindani's body was brought out of Yemen together with his widow, Afya al-Ashar, and their five children. Zindani, 46, was a leading member of the Jewish community in San'a. He made aliyah to Israel several years ago, but then returned to Yemen. On Tuesday, May 22, when he was shopping in the market with his children, a man stabbed him several times. The murder is believed to have been motivated by anti-Semitism. The Jewish community in Yemen today, after almost the entire community was airlifted to Israel in "Operation Magic Carpet" shortly after the establishment of the state, numbers about 130 people, 50 of whom live in San'a in a compound with state-provided security. Yemeni authorities moved the Jews to the compound from northern Yemen – openly admitting they could not protect them elsewhere. The transfer left them with no means to earn a living. The rest of the country's Jews live in Raida, in the Umran province. In March 2009, a Yemeni court ruled that a Muslim who murdered Yemeni Jew Moshe Yaish-Nahari, a father of nine from Raida, would only pay a fine because he was "an unstable extremist." Witnesses say Abed el-Aziz el-Abadi, a former MiG-29 pilot in Yemen's air force, walked up to Nahari on 10 December 2008 and said "Jew, accept Islam's message." He then shot Nahari five times with a Kalashnikov rifle. Some of Raida's Jews made aliyah following the incident.